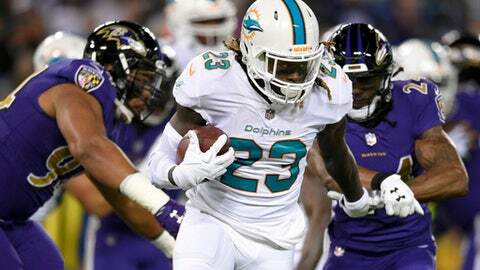 PHILADELPHIA (AP) The NFL-leading Eagles bolstered their running attack Tuesday, acquiring Jay Ajayi from the Miami Dolphins for a 2018 fourth-round draft pick hours before the trade deadline. Ajayi fits the ”special” category despite his inconsistent season. He had 122 yards rushing in Week 2 and 130 in Week 6.